When I was on vacation in Hawaii last month, it seemed that everywhere I turned was another GoPro camera. Every group of teenagers I saw was using one to record their skateboarding tricks, and every dad was recording his small kids playing on the beach. Not to mention every tourist had one mounted on a stick to hold out and take selfies with. 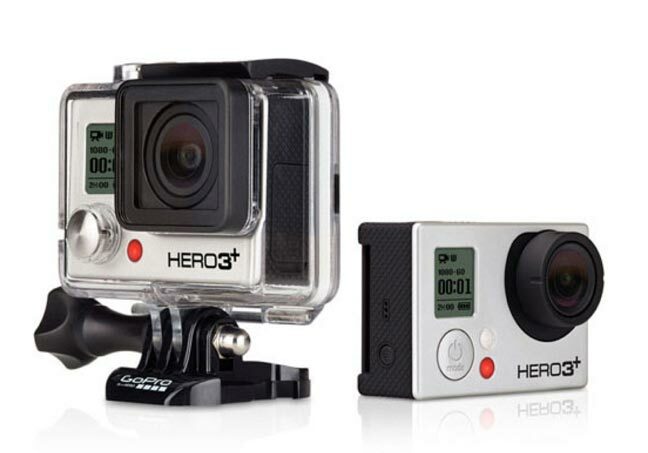 It seems like the GoPro has become as ubiquitous as the iPod, and I really want one too. For those of you not in the know, a GoPro is a small action camera that packs some serious video specs in such a tiny little box. It is waterproof and built to be especially rugged for use in extreme sports. 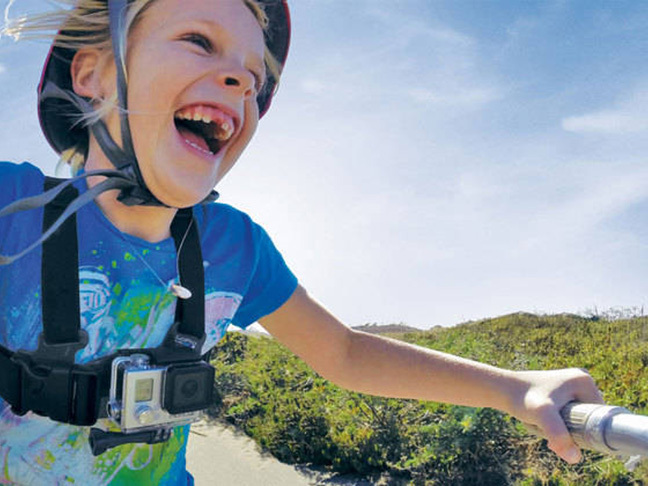 It is compact and lightweight, and can be mounted basically anywhere to record footage, whether it is on the tip of your surfboard, or on a helmet to capture your kid’s first bike ride without training wheels. The crystal clear HD video is incredible, and you can pull photographic stills from any shot just in case you didn’t happen to capture the perfect photo with your iPhone. The things you can do with a GoPro are incredible. Even Martha Stewart is using one to take aerial photography and video footage of her estate grounds by attaching it to a drone and flying it around. I might be a ways off from getting a quad-copter to record my family picnics from above, but I definitely want a GoPro to record my kids growing up. All the GoPro models are under $400, so they are affordable compared to other HD cameras on the market right now. They are incredibly versatile and durable, so I know it will survive a slobber attack from a toddler. There’s a bit of nostalgia attached to the idea of a family video camera, with Dad recording all the action and then setting up the 8mm projector to revisit family vacations together. As time went on, though, video cameras got bigger and replaying the footage somehow got more difficult. No one wanted to lug a camcorder from the late eighties to the beach—those things were huge! But now that a super high quality video camera can fit in your pocket, maybe family vacation videos will be coming back in style. All-in-all, the GoPro Camera is a MUST for dads!